“Get Hooked on Fishing – they just take kids fishing…. !” These are words which I hear fairly regularly and in fact couldn’t be much further from the truth. I’ve been involved with the charity Get Hooked on Fishing (GHoF) since 2011 and its Chief Executive Officer for just over 4 years. I was very much a late-comer to fishing myself as none of my family were anglers and it was actually my son who introduced me. I was a headteacher at the time and I very soon realised what the positive benefits to children, young people, their families and communities could be. 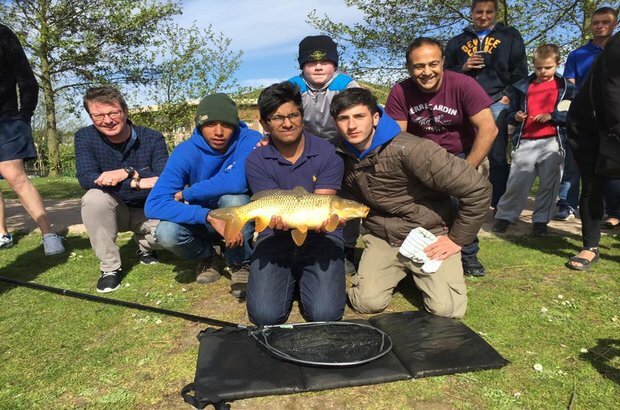 GHoF has projects across the UK and their ‘Monday-to-Friday’ work mainly focuses on engaging with young people who are facing a whole range of personal challenges and we use angling as the vehicle to create positive opportunities and improve their life chances. Yes, we do take them fishing. Yes, we do help them catch fish and become better anglers. Yes, we do seek funding to enable them to become Rod Licence holders. We also use a vast number of different programmes, angling and environmental, to enable these youngsters to be better people and contribute more positively to their local communities. Gain employment, some within the charity itself, and increase their independence. One example is when GHoF first met Joe just over five years ago when he took part on one of our weekly programmes where fishing was an enrichment activity with his Pupil Referral Unit. He was facing some serious challenges at home and struggled to moderate his behaviour. Joe then helped out after school, at weekends and during school holidays. This voluntary work resulted in Joe becoming one of our GHoF Peer Mentors, helping others to try fishing whilst being supervised by our licensed angling coaches. The charity then sourced funding to enable Joe to complete his Customer Service Apprenticeship and train as a Level 1 Angling Coach. Joe is now employed by GHoF as an Assistant Project Manager and acts as a positive role model for other Peer Mentors and Apprentices. 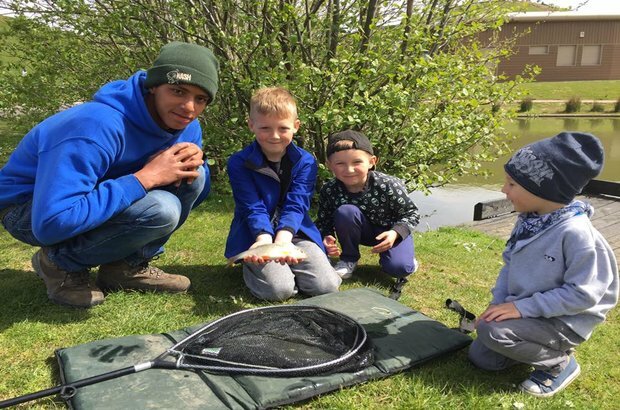 Feedback we receive from the young people themselves, their families, schools and support workers shows that whilst fishing may have been the original focus, their personal, social and life skills have been improved and enhanced dramatically. I think it’s fair to say that GHoF is helping to build brighter futures. Running alongside our social inclusion programmes, GHoF’s ‘Saturday-and-Sunday’ work is ‘Family Fishing’, a nationwide campaign and a collaboration between the charity and the Angling Trust. 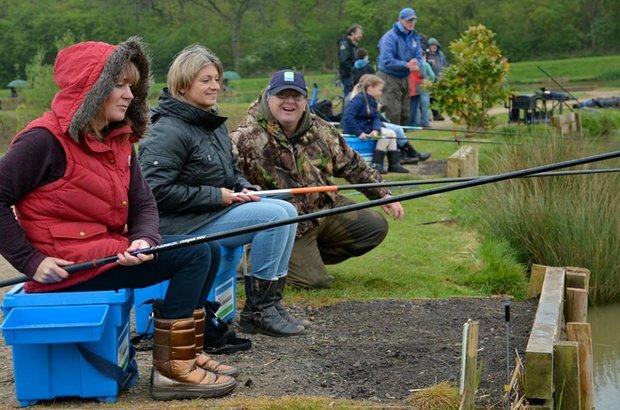 Family Fishing events such as this are part-funded by Environment Agency rod licence income and introduce thousands of people to fishing each year. This aims to help more people go fishing more often and introduce families to the wonders of angling. We want to show that fishing is a fun, safe and accessible activity they can do together. Rest a while and be entertained by Dusto, our resident fishy graffiti artist, and watch his artwork unfold! If you think you can help Get Hooked on Fishing in some way, then please e-mail hello@ghof.org.uk for more information. You can also visit our website www.ghof.org.uk or follow us on Facebook, Twitter and Instagram.